This spot follows up its 2012 GRANDY Award at the ANDYs with the Film Grand Prix at Clio. Willie Nelson, Coldplay, Chipotle and director Johnny Kelly all made a creative alliance with the Chipotle Cultivate Foundation to create "Back to the Start", a short animated film highlighting the issue of sustainable farming. 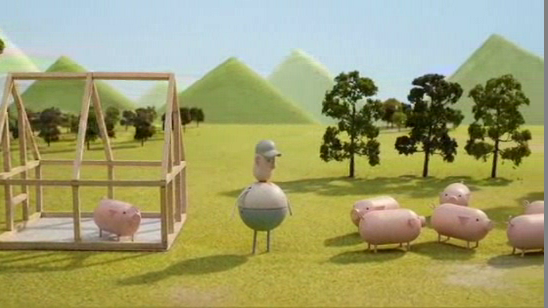 The pace and timeline of the film is captured beautifully in camera using traditional stop frame model animation techniques to track the life of a farmer. Filmed in one sweeping take the film was painstakingly animated over 4-weeks on one large all-encompassing model background.